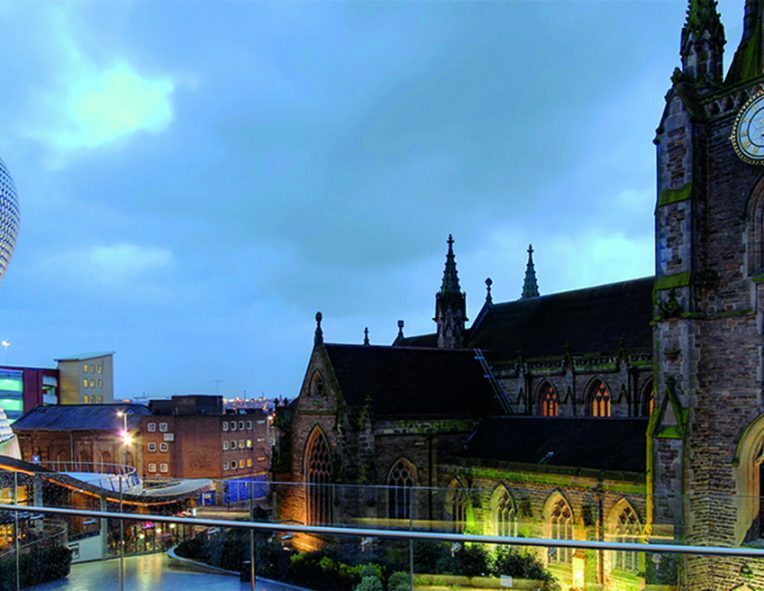 Birmingham and the West Midlands have seen big changes in their governance structures through the recent establishment of the West Midlands Combined Authority. With a remit to bring together 18 local authorities and four Local Economic Partnerships (LEPs) to address cross-border challenges on climate change, housing, transportation, and to create an inclusive and attractive region to live and work, the region is of huge interest to METREX members eager to learn about how the WMCA was established. At our Spring Conference in San Sebastian in June 2018, the capital city of the Gipuzkoa region in the Basque Country, METREX members were introduced to the long-term vision of Transport for West Midlands (TfWM), the transport authority within the WMCA. The presentation and subsequent discussions demonstrated the potential learning to be drawn from the experience of setting up the WMCA and TfWM. We are now delighted to invite you to the METREX Spring Conference in Birmingham on 15 – 17 May 2019 to share knowledge and experience, and to discuss in-depth principles and solutions that can be of value to your own situation. And of course, to enjoy another great European city! The conference, titled “Creating an environment for inclusive economic growth”, will be developed around four themes: Urban – Rural, Employment – Education, Accessibility – Affordability and Environment – Health. These themes enable us to learn in-depth from the Greater Birmingham approach and achievements and link them to other European regional developments. Over two days we will focus on the vision and delivery plans of the WCMA and TfWM, the relationship between the distinct places within the region and the role they play in its success. We will put what we have heard into context with visits to various parts of Birmingham, the region and their communities. We will hear about the preparations for the XXII Commonwealth Games, set to take place in Birmingham in 2022, and their planned legacy. We will also bring to Greater Birmingham knowledge and insight from the METREX membership, a network of organisations that represent over 45 regions across Europe. This experience, together with Greater Birmingham as a newly formed laboratory from which to learn, will make for a highly stimulating three days. We look forward to welcome you in Greater Birmingham! On Wednesday evening we will be welcomed by the Lord Mayor of Birmingham, Cllr Yvonne Mosquito. Thursday morning will see an introduction by the Mayor of the West Midlands, Andy Street CBE, and other officials from the region and city. Join us in the afternoon for visits to various sites in Birmingham and the wider region. In the evening we are pleased to invite you to join us for dinner! 0n Friday morning, break-out sessions will tackle the sub-themes with participation from representatives of the region and city, and experts from our member organisations. During the afternoon we will hear feedback from these break-outs and together we will draw out principles that we can take away. Participation to the conference is free of charge for METREX Members and invited participants. The main venues will be in maximum 15 minutes walk from Birmingham New Street Station. Participants are experts-representatives from our member organisations, about 45 European metropolitan regions and areas, and specially invited guest from city-regions in the UK and Ireland, from universities, think-tanks and interest groups, and special guests invited by the West Midlands authorities. Please see the ‘Dinner’ tab for further details. Parallel sessions on the following issues, held across various venues in Birmingham. Venue: HS2 Academy / TfWM? Further details on the study tours to be confirmed soon. Birmingham Convention Bureau has put together a list of suggested hotels with preferential rates. You can view and book these hotels using the link below. It is important to be aware that hotel prices fluctuate from day to day and so the rates offered on the Convention Bureau site may not be the most competitive on any given day.